Detective Lindsay Boxer fights to protect the streets of San Francisco from an international war criminal in the latest Women's Murder Club thriller. When three female schoolteachers go missing in San Francisco, Detective Lindsay Boxer must unravel the mystery of their disappearance. But what starts as a missing person case quickly escalates to a troubling murder investigation. As pressure at work mounts, Lindsay must rely on her husband Joe to support her at home. 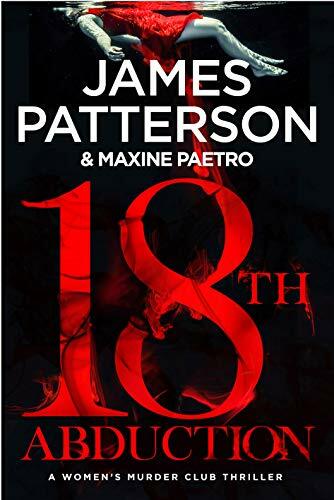 Yet Joe is pursuing a mysterious case himself, as a woman running from her past brings him terrifying information – the notorious war criminal from her Eastern European home country has appeared on the streets of San Francisco. As Lindsay searches for the three missing women, a frightening new twist forces her and Joe's investigations to collide. His mystery informant has gone missing, and all four abducted women are in grave danger. As shocking revelations emerge, Lindsay and Joe find themselves caught up in an international crime operation unlike anything they've seen before. With the help of her fierce and courageous friends in the Women's Murder Club, Lindsay and Joe fight to save their city from the corrupt clutches of a monster.